PACK | LIFT | MOVE | CLEAN | AUTOMATE. 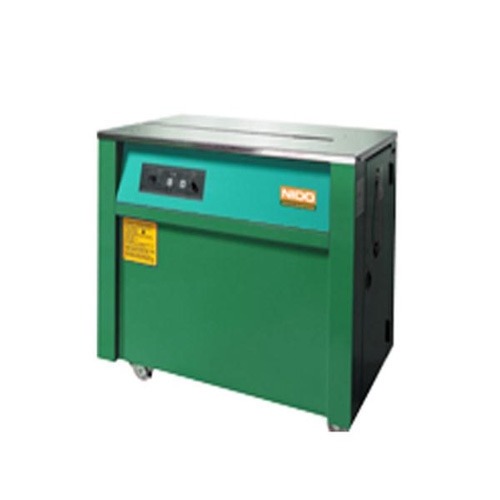 NIDO Machineries Pvt Ltd is a Mumbai based Industrial & Warehousing Equipment Solutions provider having a 9000 sq.ft. warehouse in Bhiwandi & 1000 sq.ft. office in Wadala, Mumbai. With a qualified and trained team of 52 members PAN India, Nido is one of the fastest growing companies in its domain, with a mission to become the premier solution provider in each of the product categories and service offerings by making available a breadth of quality products at affordable prices, minimal delivery time and honest after sales support to its customers. NIDO provides solutions under 4 business verticals and encompassing 4 core product categories. MATERIAL HANDLING EQUIPMENT - Pallet trucks, stackers, order pickers, forklifts, reach trucks, scissor lifts, dock levelers, vacuum lifters, goods lifts, conveyors, aerial work platforms, boom lifts & customized equipment. END OF LINE PACKAGING EQUIPMENT - Strapping machines, sealing machines, shrink wrapping machines & stretch wrapping machines. INDUSTRIAL CLEANING EQUIPMENT - Vacuum cleaners, scrubber driers, sweepers, sweeper attachments.